Does that picture look blurry? Because honestly I can’t tell. My eyes refuse to focus. Yesterday, I was looking at various fonts for a project I was working on, and I thought, “Ooh, that one looks nice. It has a drop shadow under it.” Um, a drop shadow that only I could see! Some people would say I have Computer Vision Syndrome. Eyes sore and red. Double vision. Headache. I’ve had this problem intermittently for a few months now, but this week is the worst. I know I need to lay off straining my eyes for a while. But with the eye problems I’ve had in the past, I want a professional opinion to make sure it’s not something more serious, so I’m off to the eye doctor this morning, hoping he can fit me in. Would any of you like to guest post here? You could write anything to do with plastic: a cool plastic-free alternative you’ve found; challenges you’re encountering; a plastic-related issue that has you in a huff; or a cool company that is doing the right thing. Whatever. Pictures are great too. I’m not sure how long I’ll have to lay off the computer. This entry was posted in eye drops on September 23, 2010 by Beth Terry. Beth, Chinese medicine is great at solving these sort of problems. In chinese medicine the eyes are related to the liver and the emotion of anger. It is all very connected. For herbs I recommend Dr. Zhang. For accupuncture I don’t have anyone right now but definitely worth looking into. YES, DO TAKE CARE OF YOURSELF. THERE’S SO MANY WONDERFUL OFFERS FOR WRITING ON YOUR BLOG. IF YOU LIKE, I WOULD DO A PIECE ON BPA / LEAD/ AND OTHER STUFF ADDED TO PLASTICS. MAYBE YOU HAVE A YOGA FRIEND THAT CAN SHOW YOU SOME EYE MOVEMENTS / EXERCISES THAT COULD BE BENEFICIAL. AND GENTLY RUBBING THE FACE, AND MANY OTHER WAYS TO RELAX THAT OTHERS HAVE MENTIONED. YOUR WORK HAS BEEN SO HELPFUL TO ME, I’M SO GRATEFUL! Hope there’s an easy way to resolve the eye issues Beth. I went through this a couple months ago, was sure my prescription must have changed dramatically. But no — the solution: wear my computer glasses whenever I use a computer be it desktop or laptop (bifocals with mostly midrange and close) and get a e-reader (e-ink really cuts down on the glare strain issues). If your issues persist, I’m sure I can think up a good guest post but I don’t have time right now. BETH! I AM WRITING THIS IN ALL CAPS SO THAT YOU CAN SEE MY MESSAGE! IF I COULD MAKE IT A LARGER FONT I WOULD! THIS SOUNDS VERY SCARY AND HAS ME GREATLY CONCERNED! I READ YOUR BLOG EVERY DAY AND YOU FREQUENTLY BLOG ABOUT GETTING SICK… MORE SO THAN NORMAL. HONEY, I LOVE YOUR EFFERVESCENT PERSONALITY AND YOUR INCREDIBLE PASSION BUT YOU NEED TO TAKE CARE OF YOURSELF! PLEASE, PLEASE MAKE A COMMITMENT TO MAKE YOUR HEALTH YOUR TOP PRIORITY AND TAKE A BREAK WHEN NECESSARY. I WILL TRY TO SUBMIT A GUEST POST SOON. :) FEEL BETTER! I know exactly what you are talking about, I sometimes have the same problem, where my eyes start to ache intensely. 1) Excessively bright computer monitors. 2) Over use of black on white colour schemes. A computer monitor is NOT paper, by staring at a white monitor, you are essentially staring at a powerful rectangular light bulb. Just take care of yourself!! I’m sure you’ll have friends and readers lining up to guest post. It’s all for the greater good. I would love to guest post to help you out. Not sure how interested people would be, but since I am a recent convert only becoming aware within the past year of how my bad habits of 20 ounce sodas, fast food, and overly packaged children’s toy were hurting more than my body and wallet! I could write about the transition from never recycling to recycling, as we are just getting used to it here since our local company doesn’t recycle! They trash everything in one even when we separate out paper, plastic, and trash! Oh no! That doesn’t sound like much fun at all. This may sound crazy, but have you tried palming? It’s basically extreme rest for your eyes. You close your eyes and cover them with the palms of your hands to completely block out the light. Most people suggest 30 minutes per day. I usually lie down and prop up my arms with pillows. It is SOOOO wonderful. I have Dragon Naturally Speaking. It takes a little getting used to but it could be helpful to you. I can do a guest post of my last plastic collection week. I only have FOUR ITEMS in my tally! Wow, you have a lot of responses! Let me know if you need something from me. Check my blog, and feel free to use or comment on the plastic bag monster films I did for AB 1998 with/for Green Sangha! Beth, I’m so sorry you are having these eye troubles. Please do take care and lay off. As ‘plastic’ is not my field, I can’t offer to guest post, but I will think of you and send loving, healing energy your way. I would but I can’t even get myself to start writing my own blog posts. I’d like to see a post about plastic free halloween candy (since I probably won’t get around to writing it myself), and maybe even low sugar or non-candy alternatives to give out. I just don’t know if I have the patience to do the research. hope your eyes get better, I know how bad the computer is on the eyes! Will be really happy to guest post. As you know, we’re currently clearing our house out room by room, to make it plastic-free, starting with our kitchen. I’d love to provide a guest post on the Plastic Free Kitchen if you want. Oh man, I am so sorry, not that you can even read this easily, but I would love to guest post for you, anything. I have plenty of anti plastic crap vents to get off my chest, I could post about how it has been for a newbie trying to get off plastic. Hope your eyes are much better soon! 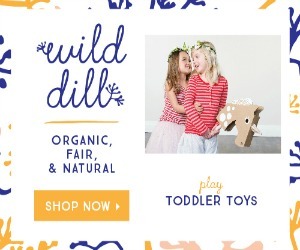 I could guest post about finding plastic alternatives for children’s toys, clothing, etc. It’s become a passion of mine lately. Most things aren’t unfortunately plastic free, but the less plastic the better. Right? Hope that your eyes get better soon. Prayers. Beth, the Eco Women would be happy to help with a guest post. Hope your eyes feel better soon! I’ll post for you. I was planning on blogging about the comic book, “The True Adventures of Foamy and Leafy”, two pieces of plastic that make their way to the Pacific gyre. It’s a really cute way to get the info out to kids. Let me know one way or the other. Beth – go take care of yourself. I am sure you will get many responses to guest post for you. And, your reader will still be here! Hugs from London.